If digital marketing is your cup of tea of you work in the industry, you’re probably a fan of technological innovations. And there seems to be something new to like every day. The world of Email marketing itself is always evolving, as we find more and more ways to produce smart, accurate and targeted campaigns with advanced Marketing Automation platforms. There are dozens of tools out there that can boost your digital marketing activity. Sometimes adding just a little twist to your strategy is what sets you apart from competitors. 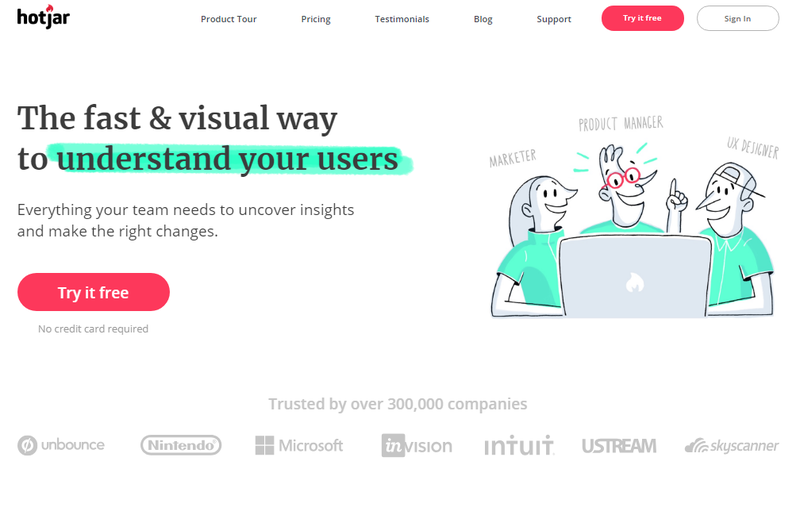 We compiled a list of 10 great digital marketing tools that will take your strategy to the next level. Included are the most essential, as well as some more advanced tools that will help you put together a winning marketing strategy for 2019. 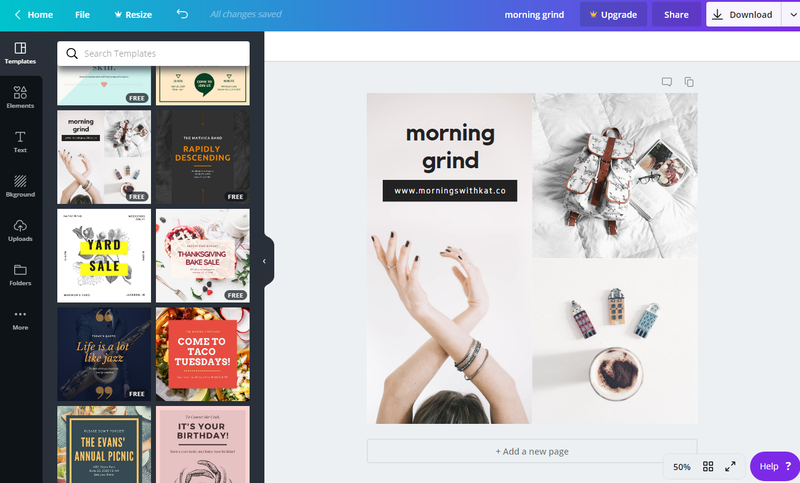 Canva – This Australian start-up simplified the process of designing banners, infographics, cover photos for social media and almost any other visual content you may need. Their purpose isn’t replacing your home designer or giving over design tasks to digital marketing managers, but rather making work more straightforward and more efficient with simple designs you can use every day. Canva’s easy interface allows you to choose from hundreds of free templates and pour in your content or create your own design from scratch with the help of their tools. Hootsuite – We’re guessing your brand operates on a number of different social media channels. ActiveTrail, for example, can be found on Facebook, Twitter, Instagram, and Linkedin. 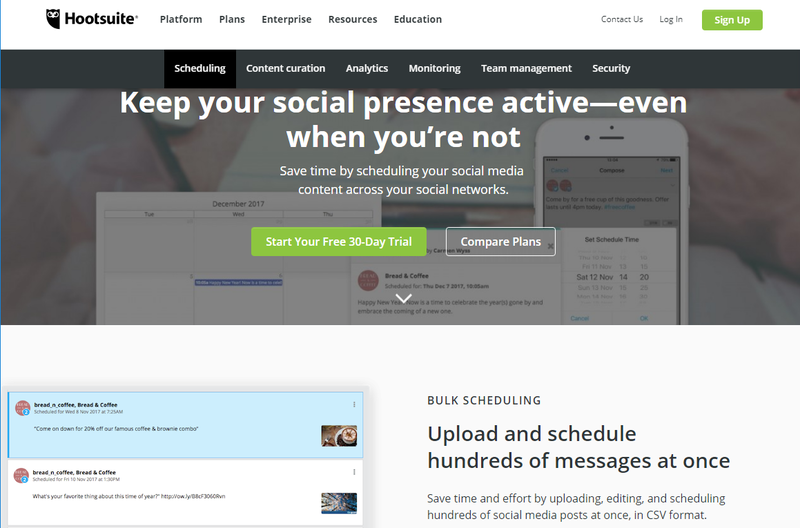 To make working with all these platforms more efficient and create a unified content strategy for all of them, you need a social media managing system. Hootsuite allows you to schedule posts months in advance, create a completely automatic marketing process and analyze the results of your organic activity with detailed reports. Moreover, (and here comes our favorite part) you can manage your brand’s engagement with social media followers directly from the interface. 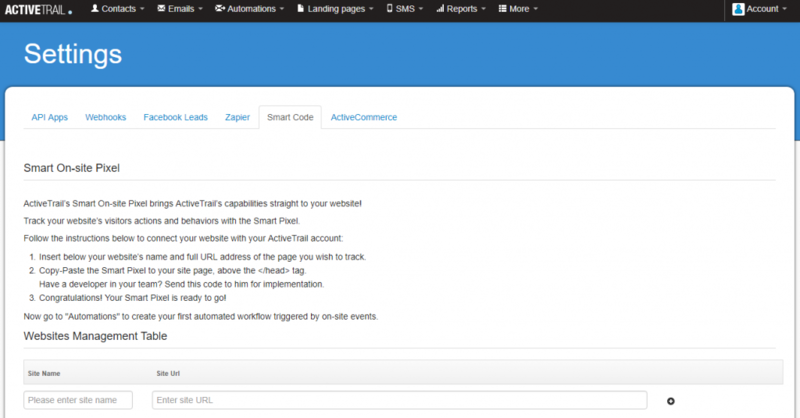 ActiveTrail’s Smart Code – We’ve often talked in our articles about this code. However, we’d like to reinforce the idea of taking a basic email marketing campaign to the next level. The smart code is a clever tracking pixel that connects email activity to customer behavior on your website (product pages, price list, support center, etc.). You can also embed the code in your landing page and follow the behavior of your registered users (subscribers). This way you’ll be able to find out more about them and gather data automatically as well as produce automated campaigns based on the subscribers’ actions. 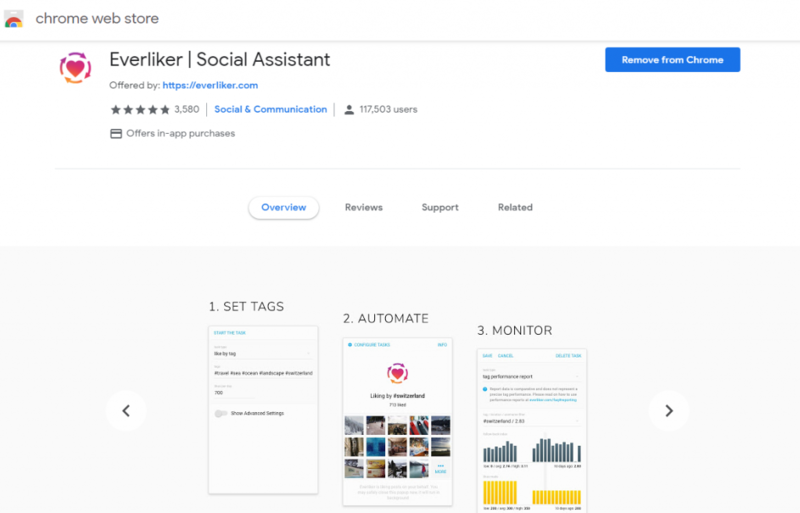 Everliker– Instagram marketing isn’t new, and this social platform emerged in the last few years as leading channels for digital marketing. Instagram amplifies the awareness of your brand, provides you with another way to create long term relationships with your customers or audience and allows you to create a visual customer journey instead of just a written one. It’s a great way to reach out to new audiences continually. Everliker is a simple (and free) browser extension that gives out likes to relevant hashtags under your Instagram account name. Your Instagram will receive traffic and excellent engagement in return. Google Trends – Real-Time Marketing is a well-known tactic to make your brand or product stand out by adapting the message to the audience. The trick is simple – something big happens, everyone is talking about it, so we should be part of the conversation. 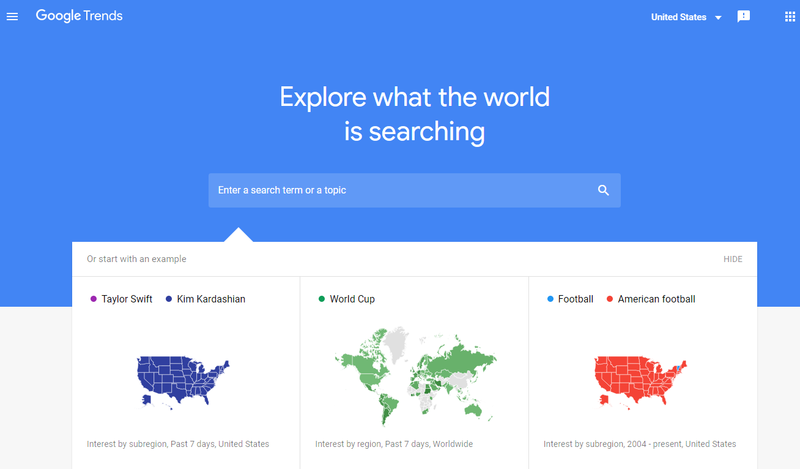 Google Trends lets you follow the most talked about subjects on the internet during a given time and find ways to utilize current events. Landing Page Templates – You started the year with a thought-through strategy, and it’s now time to add new leads to your list. Why not try using fresh new landing pages with new content and improved design? You don’t need to know how to develop a new page from scratch. A smart landing page creator can provide you with dozens of pre-designed templates. All you’ll have to do is pick the right template for your product, embed your content, and adjust the fonts, colors, and images to fit your brand. ActiveTrail’s pre-designed landing page include responsiveness, domain choice, outlined forms, PayPal integration (much needed!) and a wide variety of other options. SEMrush – Once you’ve built a winning content strategy, it’s time to anchor it with SEO work that will maximize your exposure potential on the world’s most popular search engine. SEMrush is an all-in-one platform to quickly and efficiently build an SEO strategy. The interface provides you with free tools along paid options like organic keyword search, site audit, domain check, reports and more. The platform also offers the Academy – a great learning tool that provides guides, courses, and articles to lead you along from the most basic elements of SEO to the most advanced. Hotjar – visitor behavior optimization is a whole separate discipline in the digital marketing sphere. After working hard on your strategy and driving more and more traffic to your website, how can you improve visitor activity? Make sure that the content, structure and user experience of your site is the right fit for your visitors? Hotjar allows you to easily examine visitor behavior with maps and recordings as well as constructing a marketing funnel that actually works. It’s easy to use interface is simple enough even for those just starting out in digital marketing. Similar Web – the perfect means for analyzing different companies in the B2B fields. Through this system, you can learn which platforms companies use, explore industry trends, learn about tech products and look for potential clients. Going even deeper, you can access information about how much each company invests in different technologies and even collect contacts or leads. The various filters provide a convenient way to conduct real research about competitors and clients in the B2B world. Zapier – last, but certainly not least. If you haven’t utilized this fantastic tool to integrate a wide range of cloud services and apps, don’t wait another second. Zapier integrations are like a universal plug that enables combining different systems to make your work significantly more efficient. 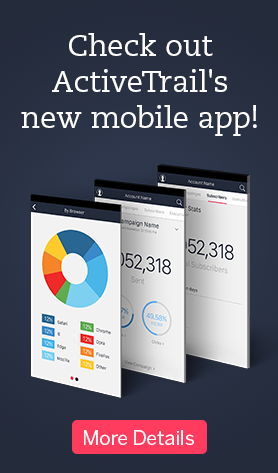 Just imagine connecting your CRM system with the Marketing Automation Tool to create extra smart advanced campaigns.